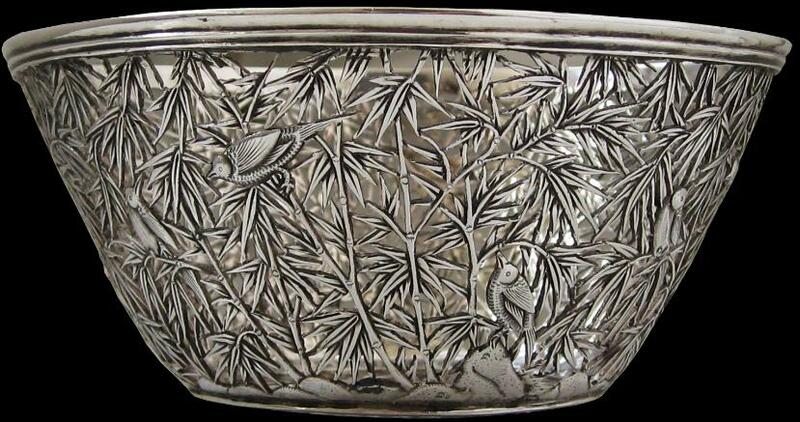 The sides and base of this delightful bowl are completely decorated in open-work in the form of thickets of bamboo interspersed with humming birds. The work is very fine with each bamboo leaf carefully rendered. The motifs are designed to be viewed from the bowls external sides, but the decoration on the base is designed to be viewed as one looks into the bowl. 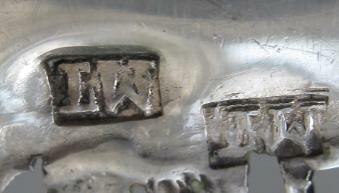 Stamped twice to the base with the initials ‘LW’. Luen Wo was a silversmith that operated from various premises in Nanking Road in Shanghai in the last quarter of the nineteenth century and the first quarter of the twentieth century. 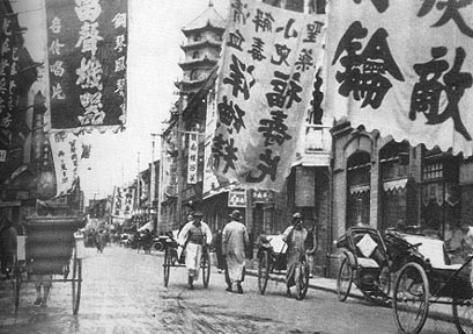 (Nanking Road – or Nanjing Road as it is known today – was then, as its is now, Shanghai’s business shopping road.) The firm was prolific and each piece is invariably of a high quality. It also traded in other items such as diamonds, jewellery and embroideries. The Chait Collection of Chinese Export Silver, Ralph M. Chait Galleries, 1985; and Marlowe, A.J., Chinese Export Silver, John Sparks, 1990.